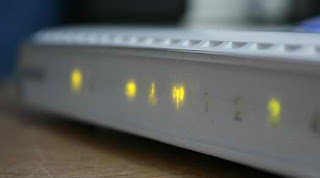 The IEEE claims to have successfully created the latest WLAN technology. They claim that the Standard IEEE 802.22 wireless network can reach up to his creation is 31,080 square kilometers. By using the unused white space between TV channels in the frequency spketrum, 802.22 can provide services wirles regional area networks (WRANS) that can provide broadband services to rural areas. This technology can operate in areas within 100 kilometers from the base station. So the total area of ​​the 802.22 standard is 31,080 square kilometers. The data can be transmitted was quite high. If there is no interference from TV broadcasts, its speed can reach 22 Mbps. This technology can work on a tape purportedly VHF / UHF TV frequency range between 54 MHz to 698 MHz, for in the United States.